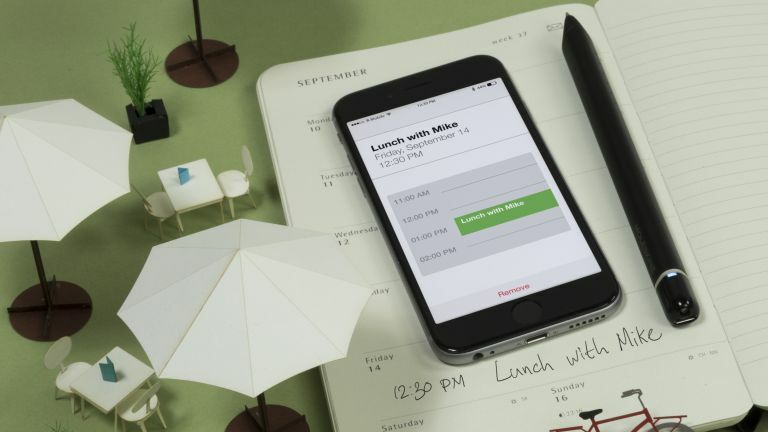 Moleskine has just announced The Smart Planner, an innovative new product that instantly digitises appointments written on paper, and syncs them to your Google or Apple calendar. It a great idea, combining the convenience of hand writing notes with the ubiquitousness and modern features found in digital calendars. Well, there's an invisible grid made with patented "Ncode technology" embedded in each page of the Smart Planner. This allows the Moleskine Notes companion app to recognise and sync everything the Pen+ writes, from appointments to notes and sketches. Meetings, events and diary entries written on the planner layout on the left page are synced to Google calendar (for Android) and iCal (for iOS), while handwritten notes and sketches on the right page are synced with the Moleskine Notes app. It's very smart, we could think of a number scenarios where it could come in useful, and it's also a suitably stylish piece as well. The Smart Planner is the latest addition to Moleskine's Smart Writing Set, which also include the Paper Tablet notebook, Smart Pen+ and Moleskine Notes companion app. You'll need the Pen+ to use the Smart Planner. Smart Writing Set (Paper Tablet and Pen+) costs £199, and the Smart Planner comes in at £25.99.